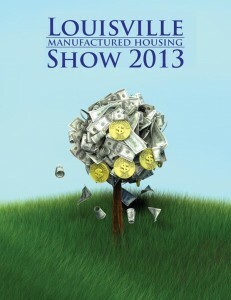 Coming to Louisville in 2013 is like coming to a Money Tree! You will find the most new homes, lenders, products, services and business building seminars anywhere in the U.S. for factory built housing professionals. Deal making and networking opportunities are rival or beat the best in the nation. Our popular seminar/workshops/forums drew many standing room only crowds in 2012. Learn about the latest financing opportunities. Learn marketing and sales systems that work. Ask the Experts at live events. Come and and you will smile about the Money Tree Seminars and Workshops for 2013 too.